Kirk and his team maintain a versatile real estate practice grounded in decades of experience and an impressive 99 percent success rate. 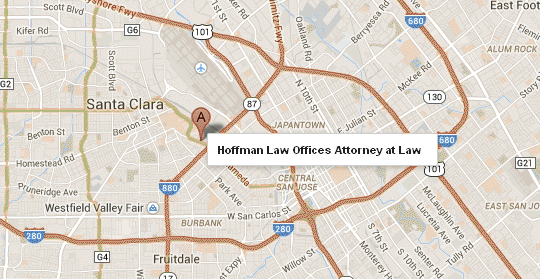 Hoffman Law Group represents clients in a full scope of real property matters, both transactional and litigation. Each case is personally handled to achieve your goals and expectations. When you lease or manage property, what you're really doing is running a business. At the end of the day, landlords, owners, and property managers are business owners - and all good businesses require knowledgeable, accessible legal counsel. Similarly, when you purchase a piece of property, you put a lot of money on the line. For many individuals, buying a home is the largest purchase they will ever make. With so much at stake, you want to know your interests are protected. For over 20 years, Kirk Hoffman has helped business owners, landlords, and individual property owners create real estate contracts specifically designed to prevent conflict, minimize risk, and protect their rights and interests. He draws upon his extensive experience, both in and out of the courtroom, to anticipate and avoid various "what if" scenarios that can complicate or compromise his clients' goals. Whether you're purchasing a home, investing in real estate, or leasing commercial property, Kirk has the resources and knowledge to achieve your objectives and preserve your rights. Well-crafted real estate contracts can protect your interests and prevent disputes. Properly drafted, they set forth the expectations and obligations of each party. However, even the most carefully-drafted document is vulnerable to another party’s willful breach.